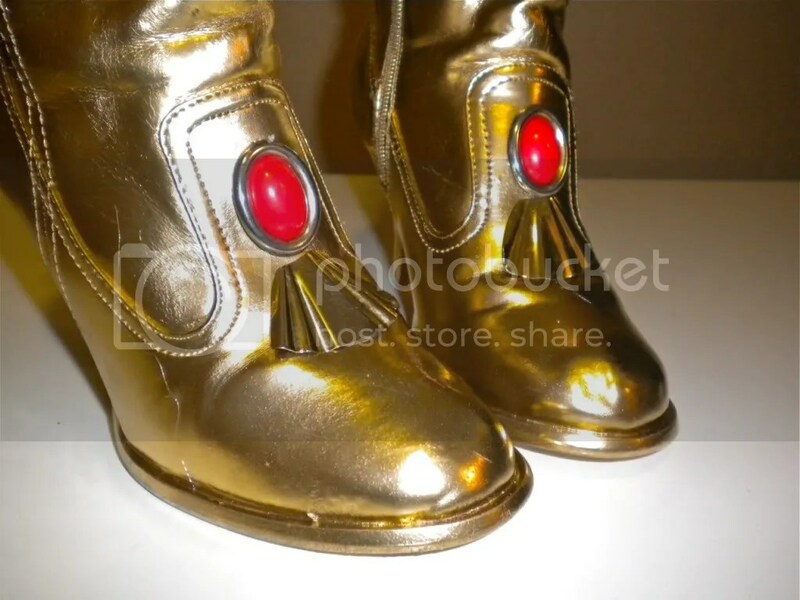 I was commissioned to make some prop shoes for a children’s Christmas play. The play is “A Shoemaker’s Christmas” which is an adaptation of a story by Leo Tolstoy (here is it called Papa Panov’s Special Christmas). 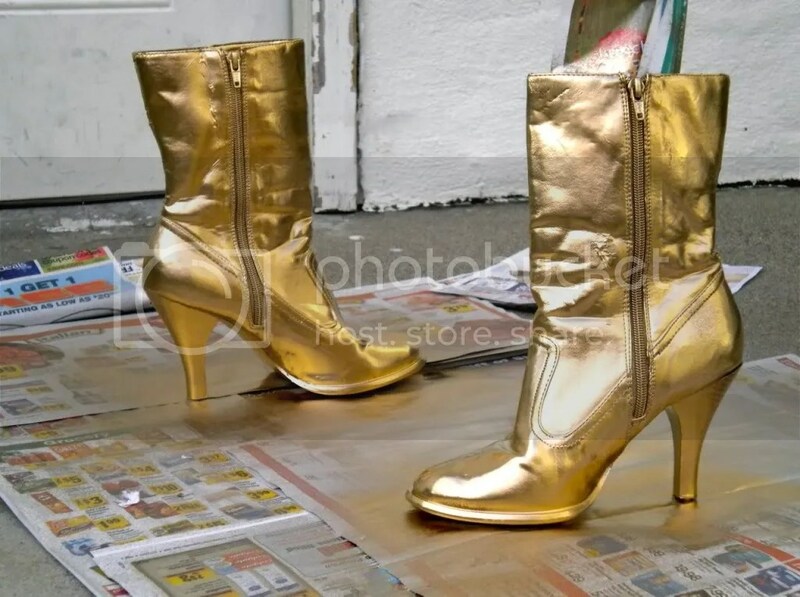 So here is my tutorial on making silver and gold boots for costumes or props. 1. 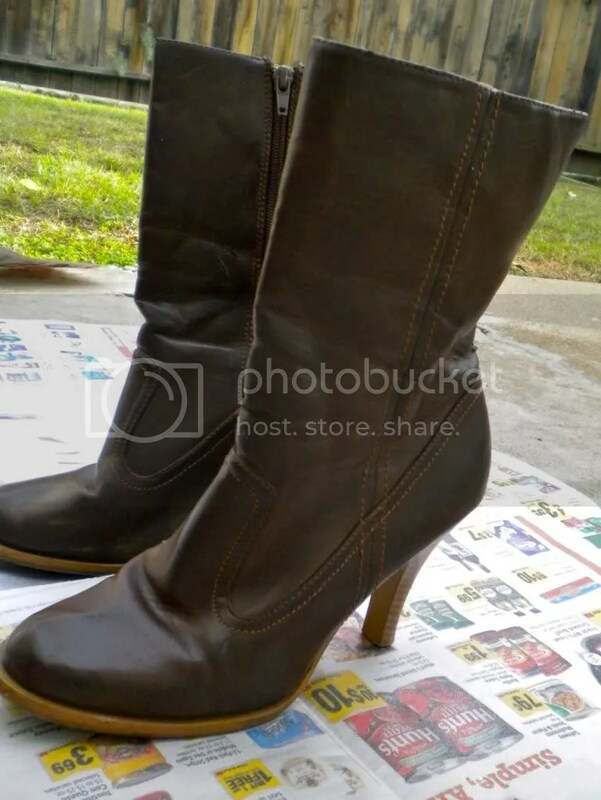 Go Thrifting – Find boots that match the shape that you want (color and material don’t really matter). 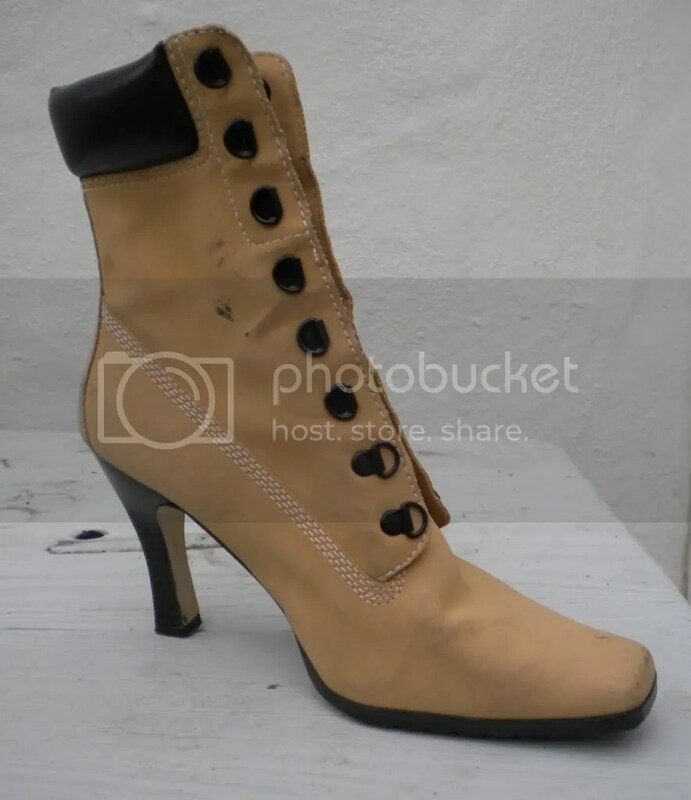 I started off a basic pair of brown boots and a pair of lace-up boots. 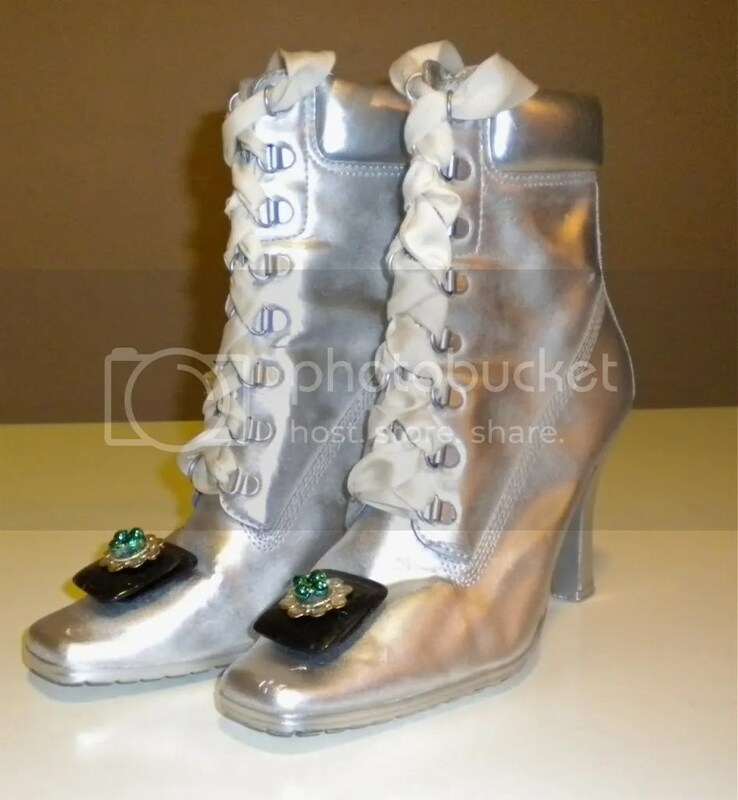 I wanted to find lace-ups for a Victorian look but I could only find one pair. 2. Spray Paint and Let Dry – Get really good spray paint plus some newspaper and disposable gloves. 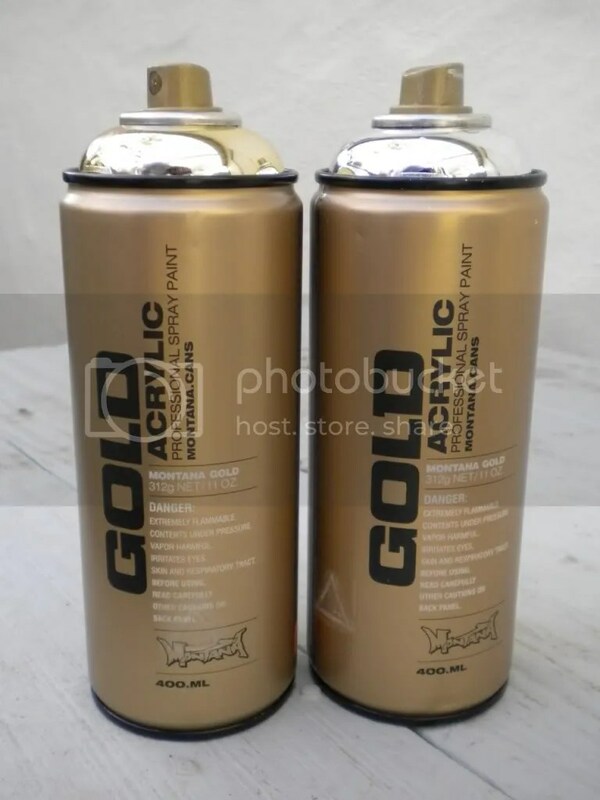 I cannot say enough good things about this Montana Gold spray paint. One coat pretty much covered everything. I let them dry for a couple of hours and then touched up a few missed spots. 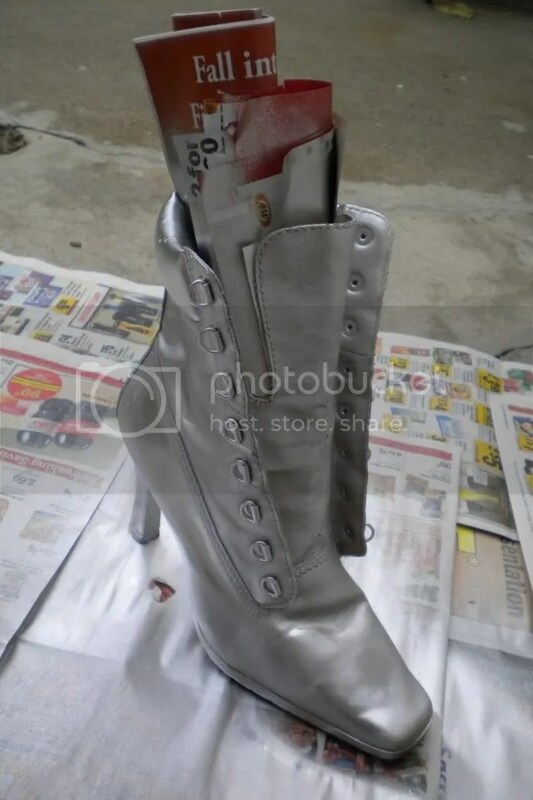 I filled the shoes with newspaper so that they would stand better and it also makes the surface of the boots stand out so they are easier to spray. 3. 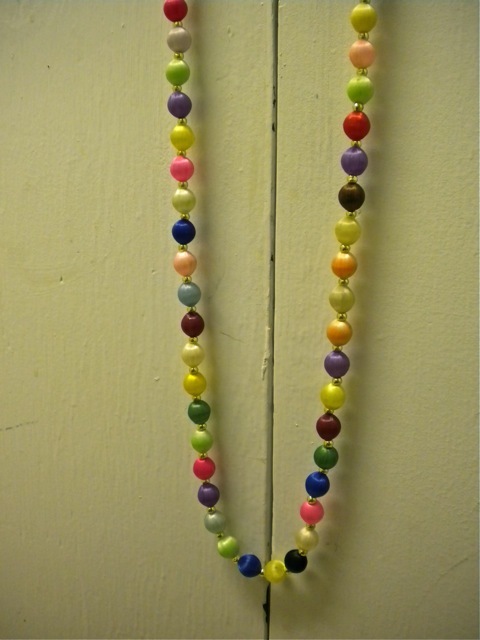 Glue on Accessories – These were decorated using a hot glue gun and old vintage earrings. 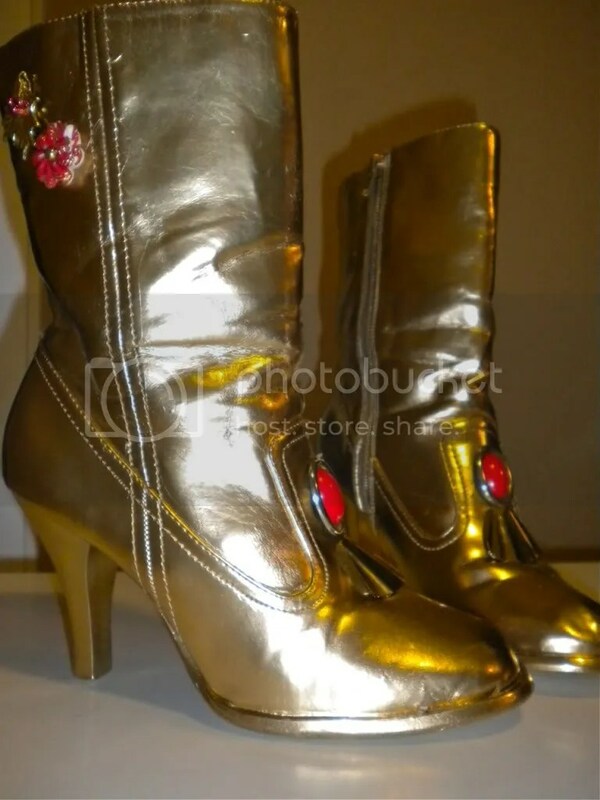 At first I glued purple Mardi Gras beads on the side of the silver boots but it looked so 80’s tacky metallic glam I couldn’t stop laughing when I looked at them. 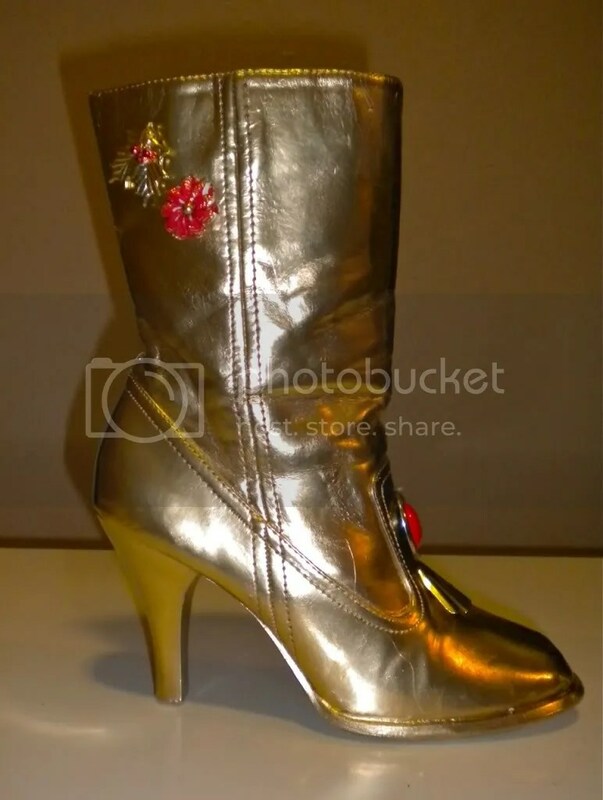 I decided to go pretty simple with the accessories on both – letting the bright silver and gold speak for itself. Bought a vintage necklace from an affordable local resale shop Crimson and Clover in Sacramento. The color combination really caught my eye, baby blue, yellow, hot pink, brown and a single black one. The owner Kara pointed out to me that some of the paler ones are actually faded. I think that gives it an interesting look and it will pretty much match any simple or color-blocked outfit. For $10 and no shipping it’s cheaper than buying on etsy or ebay.